Your choice, each bag sold separately. These are promotional gift bags that were used to promote newly launched fragrances. There was only a limited amount of these bags and not many survived. These were saved by a long time perfume collector who worked at a high end department store in the 1980s and 1990s and I was fortunate to acquire many of these designer perfume promotional bags. The colors are very good on the bags with no fading. Just to clarify, you are buying a paper shopping bag, not perfume. Any would make a nice gift bag to put some perfumes in or keep for yourself as a fragrance advertising collectible. 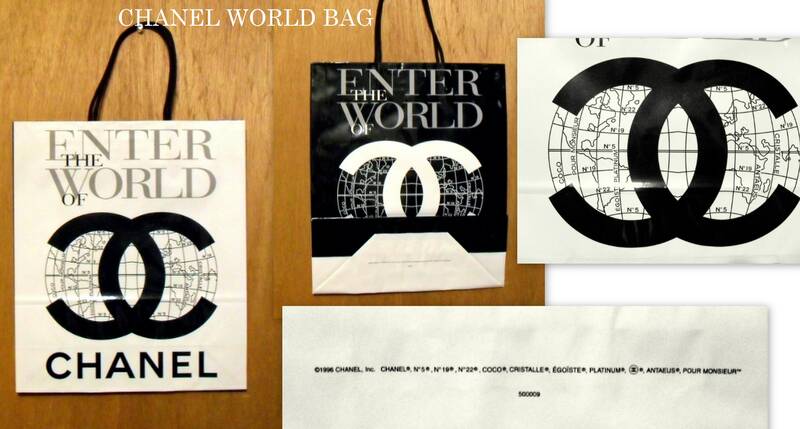 ---- Chanel world paper shopping bag from 1996. The bag is advertising the following fragrances; Chanel No.5, Chanel No. 19, Chanel No. 22, Cristalle, Coco, Egoiste, Egoiste Platinum, Chanel Pour Monsieur and Antaeus. 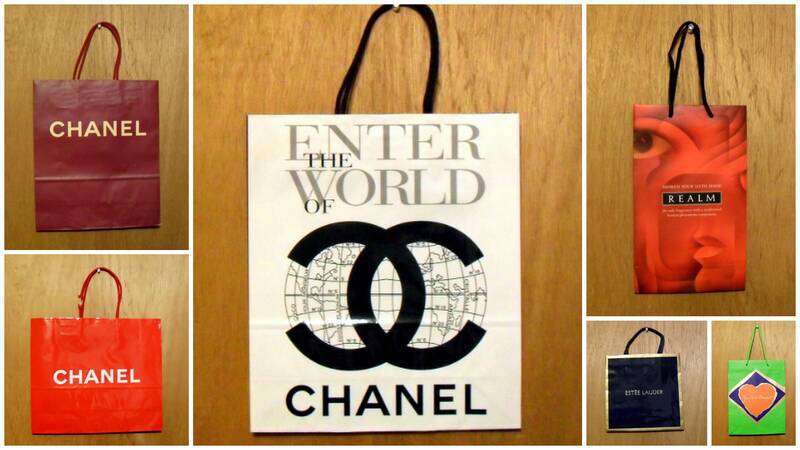 This bag is copyrighted with 1996 and Chanel, Inc. The color is very good on the bag with no fading. The size of the bag is approximately 12.75" long x approximately 11" wide, not including handles. ---- In Love Again by Yves Saint Laurent paper bag from 1998. There is a dark stain on the front of the bag - see close up photo. The size of the bag is approximately 11" long x approximately 8.5" wide, not including handles. 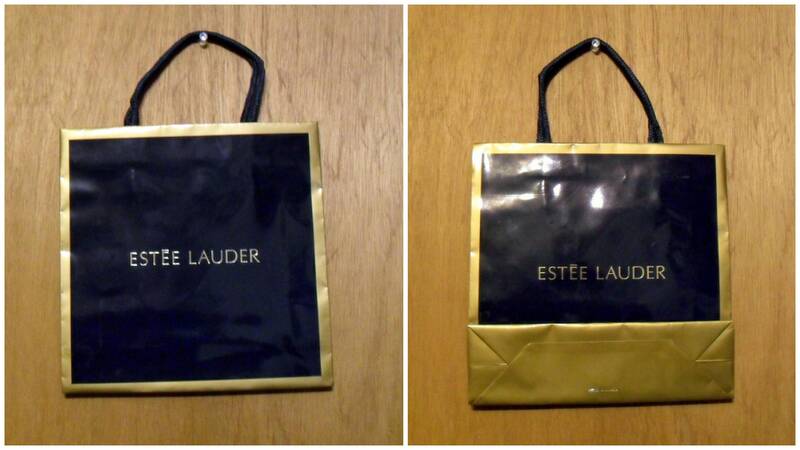 ---- Estee Lauder cosmetic, skin care product, or perfume paper bag in the 1990s. The size of the bag is approximately 8.5" long x approximately 8.5" wide, not including handles. 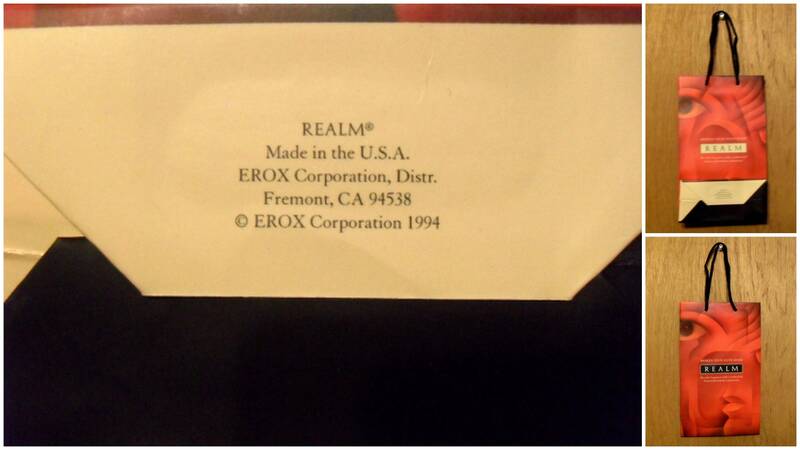 ---- Realm by Erox paper bag from 1993. The size of the bag is approximately 8.75" long x approximately 5.25" wide, not including handles. 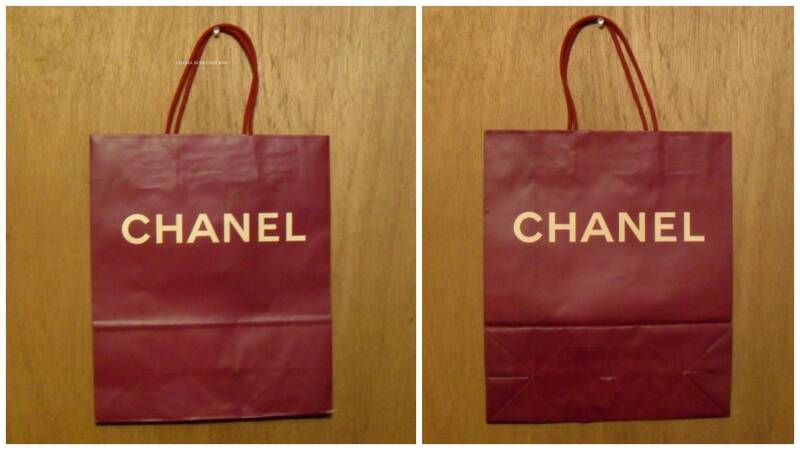 -----Chanel burgundy colored paper bag. The size of the bag is approximately 12.75" long x approximately 11" wide, not including handles. 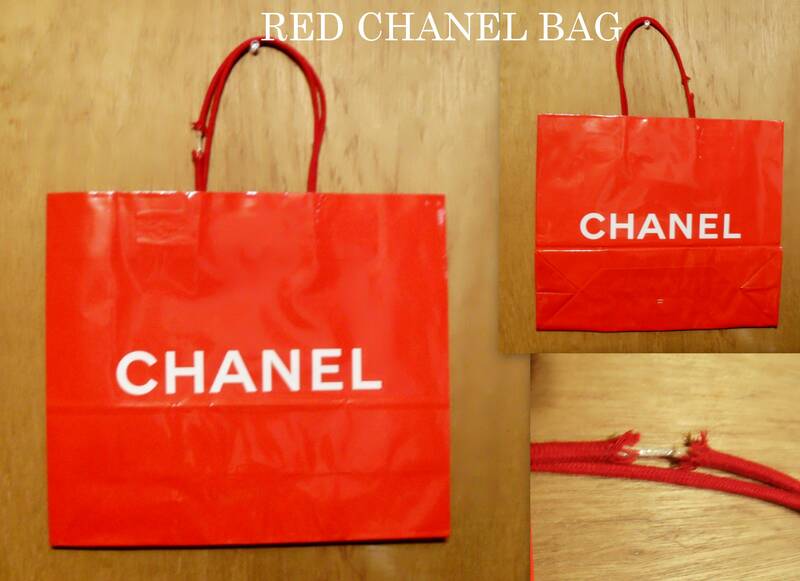 -----Chanel red glossy paper bag from the 1990s. This bag is marked Chanel on the bottom. One side of the handle has a frayed area exposing the cord - see photos. The size of the bag is approximately 11" long x approximately 12.75" wide, not including handles. All of these original promotional bags on my site are being sold as collectibles only. They have been stored in boxes for many years, so they might have some light wear to the edges and corners or show bends. Please keep this in mind before you purchase, as there will be no returns accepted on these items.